The technology allows card issuers who choose to adopt the technology to provide their account holders with a tiny microSD card that can be inserted into the phone’s existing memory slot to enable the device for payment. 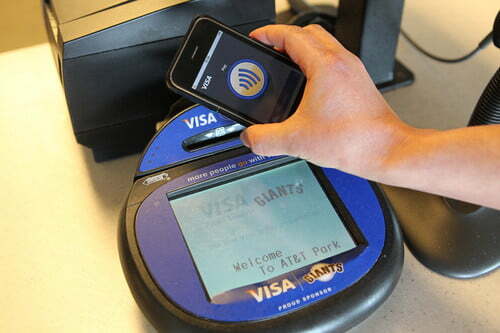 The technology is compatible with existing contactless payment terminals. Account holders only need to hold the phone in front a payment terminal in order to pay. The mobile contactless payment solution is now available for potential commercial deployment by financial institutions in the U.S. and select markets. This comes after 18 months of technology development in partnership with DeviceFidelity. Smartphones that can use In2Pay the iPhone 4, the iPhone 3GS, iPhone 3G and the Android based Samsung Vibrant Galaxy 5. More phones will be able to use the technology in the future including phones based on the Symbian and Windows operating systems. With nearly 5 billion mobile handsets in market around the globe, consumers continue to rely more heavily on their smartphones. According to IDC, smartphone shipments globally are expected to increase 24% in 2011.